A group of 100 lawmakers in Massachusetts are petitioning legislative leaders to take action on a legislation that focuses on solar energy. The legislation proposes changes be made to the state’s net metering rules. 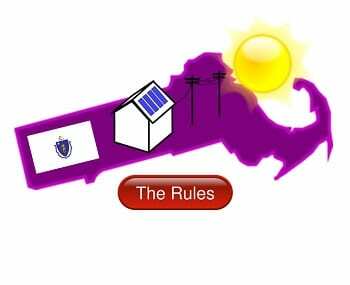 These rules allow those using solar power to sell excess electrical power back to the grid for energy credits. Utilities currently pay a retail rate for this electricity, but changes to the net metering system will allow these companies to spend much less money on excess electricity produced by solar power systems. Net metering has been one of the most attractive aspects of solar power among both homeowners and businesses. Being able to sell excess electrical power back to the state’s energy grid has secured future growth for the solar sector, but utilities believe that solar power will have a negative impact on their ability to do business in a conventional manner. Supporters of solar power believe that changes to the state’s net metering rules could affect the solar energy projects taking form in several parts of the state. Solar advocates and municipal government officials have warned state lawmakers that reducing the energy credits that people can acquire by selling surplus electrical power may jeopardize the future of solar projects. In the City of Newton, Mayor Setti Warren has warned that the city could lose out on the $4 million it had hoped to save over the next 20 years through the leasing of 13 municipal sites to solar developers. While the legislation does make changes to the state’s net metering rules, it does require the state’s Department of Energy Resources to create new programs that provide homeowners and businesses an incentive to embrace solar power. These incentive programs are meant to take form when the state reaches a goal of installing 1,600 megawatts worth of new solar energy capacity.